A local gathering spot for more than a decade, McCormick Café is where you’ll find oven-fresh baked goods and everything from Parisian crepes to hearty soups and sandwiches. Grab a delicious breakfast or meet friends for lunch. Try fueling up with Dancing Goats coffee and our menu favorites like our famous Toucan. Fabulous Italian food with a twist! 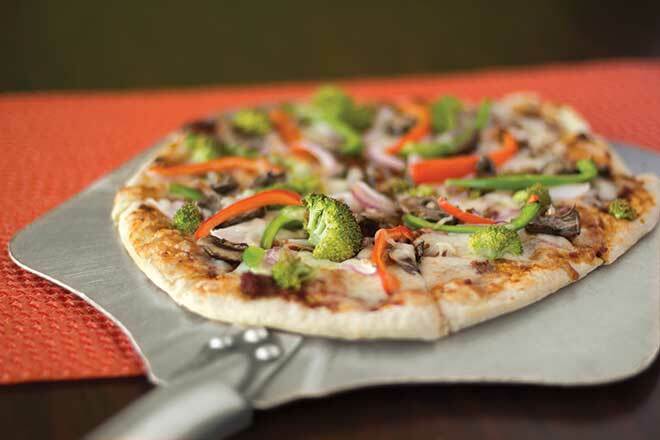 Enjoy our signature stone-fired pizzas, crisp salads, and rich pastas. While you’re here, try a glass of our secret recipe Sangria.